However, all cryptocurrencies so far, Bitcoin included, failed to win a significant share of everyday payments. We need to fix this and make P2P great again. Every cryptocurrency has irreversible payments built-in. But that is not enough for making safe P2P deals with untrusted counterparties. Without any guarantees that the other party keeps one’s part of the bargain, such payment is just an irreversible donation in exchange for soft promises. 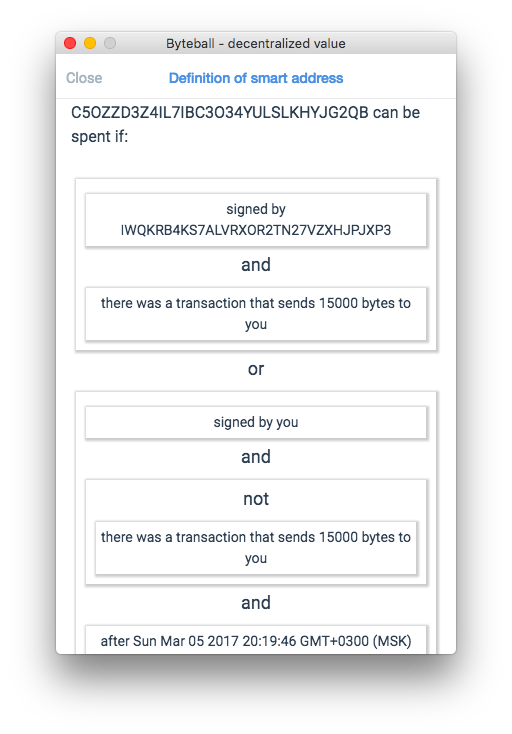 Today we are releasing version 1.5 of Byteball wallet, which includes bound payments. If the payee doesn’t keep one’s part of the bargain, you safely take your money back after a waiting period that you set. All this happens in completely peer-to-peer manner, no intermediaries, no escrows. Both parts of the deal are secured by math underlying the operation of Byteball platform. This is a P2P interaction, only two parties are directly involved and there are no central entities such as DAOs. 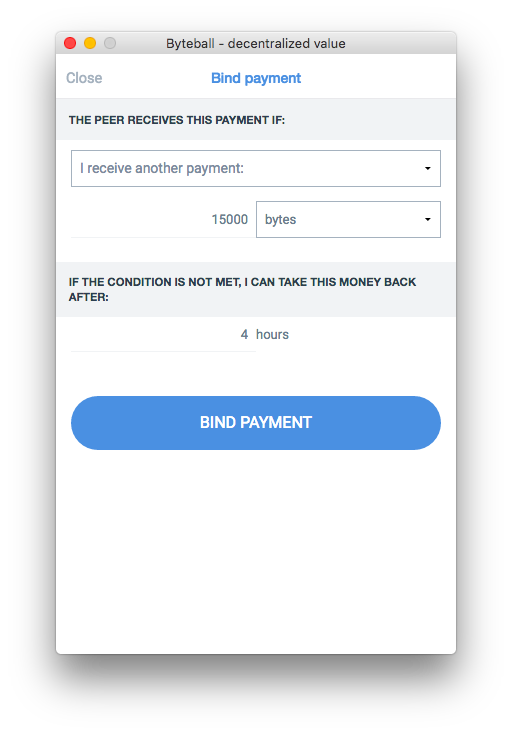 Already now, bound payments allow you to P2P exchange bytes (the native currency of Byteball) against blackbytes (a private untraceable currency on Byteball platform) or any other asset issued on Byteball. In the future releases, we’ll enable you to bind payments to other events happening in the real world. Oracles will serve as connectors between the real world and the cryptographically secured unalterable storage of Byteball database, and oracles will bring the events from the real world to Byteball. That will allow you to send P2P payments conditional on the other party’s delivery on one’s promises, thus making your payments safe while making P2P great again!